A large number of cane growers in Khyber Pakhtunkhwa have started producing gur instead of waiting for sugar mills to purchase their harvest. This may make things difficult for local sugar mills as they would lose some good quality cane. Farmers in Mardan and Swabi districts, two major cane growing areas in the province, have started seasonal operations of their gur-making units called Gaarrain in Pashto. Gur, produced by applying an age-old traditional process, has considerable demand for household consumption in the Pakhtun inhabited rural areas in Mardan, Swabi, and Charsadda districts. The diversion to gur-making, that too at a time when five of the seven Khyber Pakhtunkhwa sugar mills have not yet started their sugar manufacturing processes, is not unusual. However, it is worrying both for growers and millers. Millers complain that good quality sugarcane is diverted to gur-making and they get low quality cane. Then it creates shortages in the cane market. This allows the middlemen and the commission agents to sell their stocks at inflated prices to mills in the later part of the harvest season. Growers, too, find gur-making cumbersome. Yet, they opt for gur-making because it saves them from manipulation at the hands of market forces, including millers and middlemen/commission agents. The provincial food department, too, has not been of much help to the growers in getting a fair price for their produce. Growers hold the provincial authorities responsible for pushing them to the wall year after year. The PTI government, too, is slow act. The crop is ready to be harvested for more than five weeks, but the government is still busy making arrangements to fix the support price. 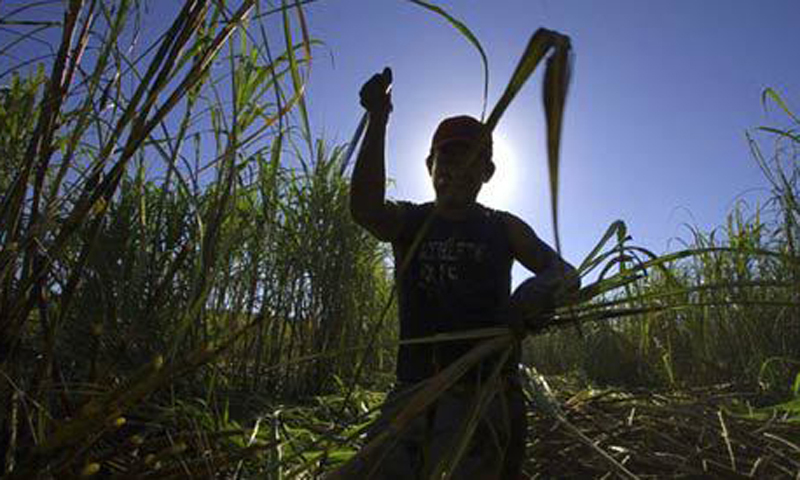 The Sugarcane Control Board, a price fixation body, last held an in conclusive meeting on November 19 because of unbridgeable differences between the growers� and the millers� representatives over the estimated cost of cane production. The matter is likely to take some more days as the decision would now come from the chief minister. The delay in fixing support price also reflects that the bureaucracy does not have the will to complete its job on time. The government should have announced the support price, latest by, the first week of November. It was its responsibility to ensure that mills begin sugarcane crushing by the second week of the month. The delay has pushed several of the growers to a tight corner. They cannot afford to sit idle any further and wait for the mills to start procurement by November-end. Many farmers, particularly small growers, need to clear their land for cultivating wheat. They also need money to buy seeds and fertiliser for the next crop. Had he opted to wait for the area�s sugar mill or middlemen to purchase his crop, he would have had to wait for at least two to four weeks for the payment. �I got the cash on the spot the day I took the gur supplies to a nearby market,� said Shah. It is also cost-effective and profitable as compared to selling the crop to the mill. According to Shah, the quantity of cane he processed to produce 80kgs of gur would have earned him Rs3,400 only if he had sold it to a sugar mill. �I sold 80 kilogramme of gur at Rs6,000 of which my cost of production (to make gur) was just Rs400, which means I earned about Rs2,200 more than what I would have received from the mill,� said Shah. The simple math makes it an easy option for many growers, particularly in districts with demand for gur, to have a gur-making unit of their own. Another cane grower Khan Mohammad said gur-making units saved farmers from exploitation by millers. Growers� cost of production, he said, came to around Rs220 per 40kgs of sugarcane whereas the government would fix the price at around Rs180 per 40kgs. Why then, do growers choose to grow cane at all when they don�t make fair profit at the end of the cropping season? According to many who were posed this question, self-employment is the reason. �They (farmers) feel that it is better to work in one�s own field instead of working as a daily wager for others,� said Mohammad.